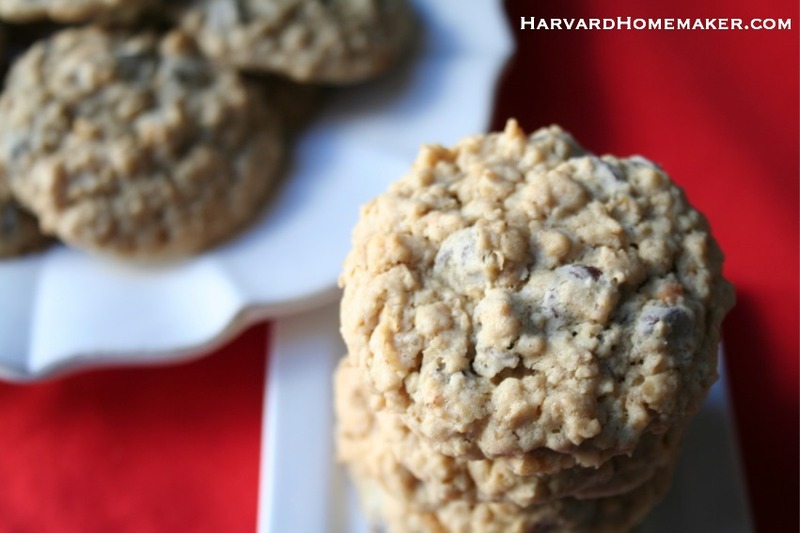 We think these are the best oatmeal chocolate chip cookies on the planet! I have been on the quest for the perfect oatmeal chocolate chip cookie for a very long time. I have loved to bake ever since my mom taught me how, and since that time, I have tried countless recipes. But now my search is over! 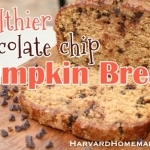 I found a recipe over at AllRecipes and messed with it a bit: a little more of this, a little less of that, add some of this… and now when we are craving a chocolate chip cookie with oatmeal in it, this is always the recipe I use! These are soft, chewy, and simply amazing. 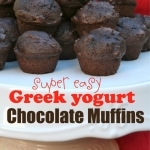 Perfect when freshly baked with a cold glass of milk, or you can freeze them for later, too! They are so good!! We love them, and I hope you will, too! Find the complete recipe at the bottom of this post. Disclosure: Some links in this post are affiliate/referral links. Please click here for further explanation. I am a participant in the Amazon Services LLC Associates Program, an affiliate advertising program designed to provide a means for me to earn fees by linking to Amazon.com and affiliated sites. Start with the butter, Crisco, milk, brown sugar, and sugar (you can’t see the sugar in this picture). Mix until smooth. Beat in eggs one at a time, then add the vanilla and combine. Stir together the flour, baking soda, and salt. Blend all into the creamed mixture little by little. 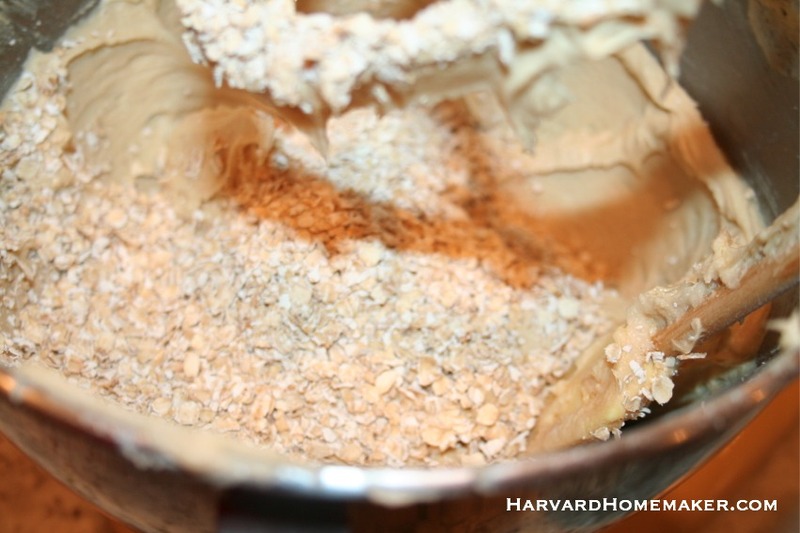 Add the quick oats, mixing gradually. I always use insulated pans like this when I bake. The air pockets inside help distribute the heat across the entire pan, and this leads to more even baking. 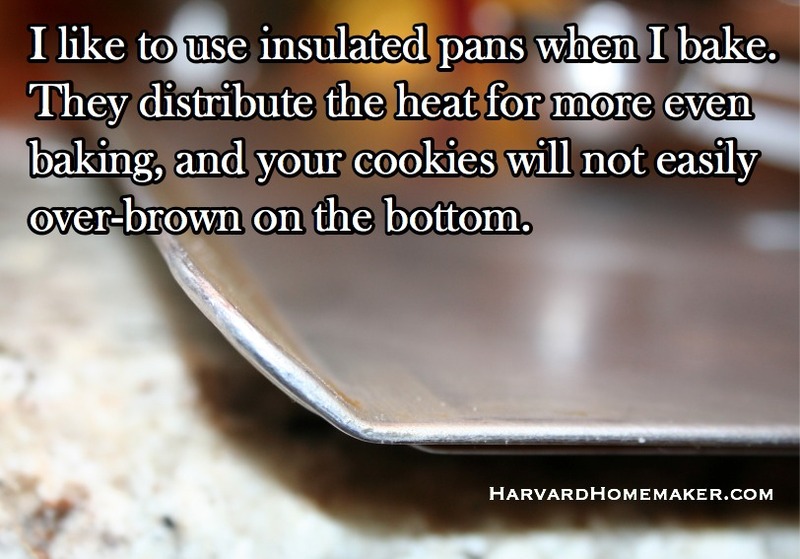 If your cookies always tend to over-brown on the bottom, try an insulated pan! I bet it will do the trick. 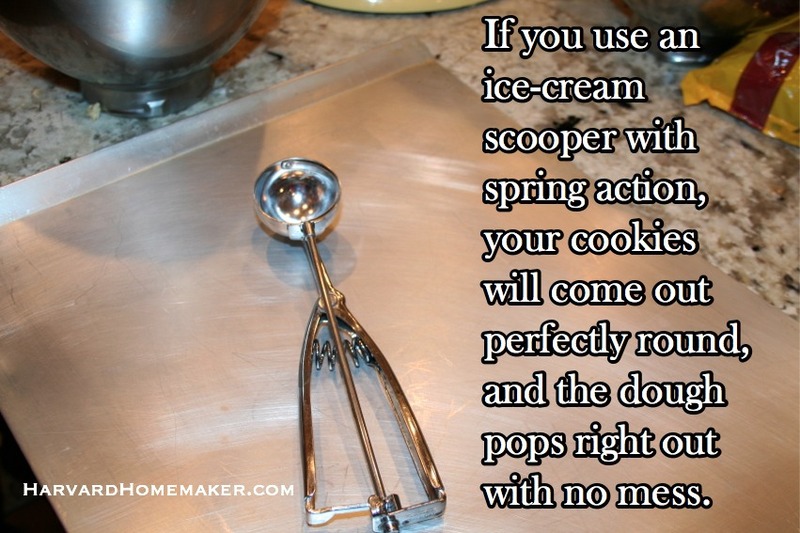 I also like to use an ice-cream scooper with spring action like this (I have different sizes) when making cookies, muffins, cupcakes, etc. 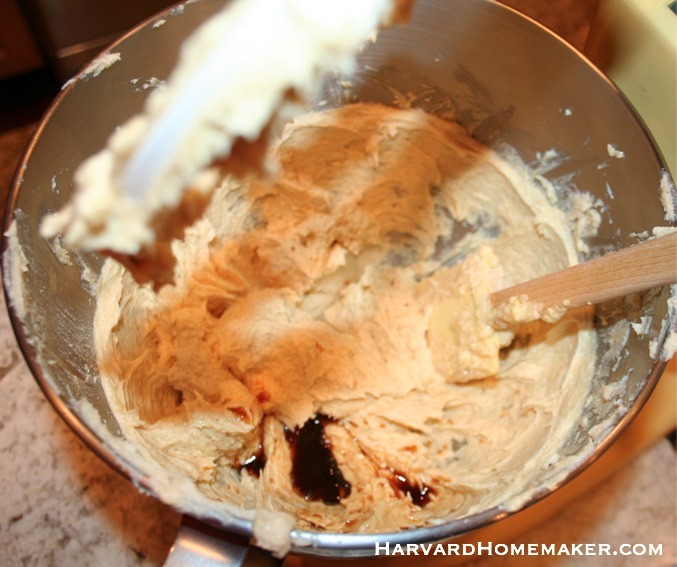 It makes for less mess because the dough or batter pops right out by squeezing the handle. 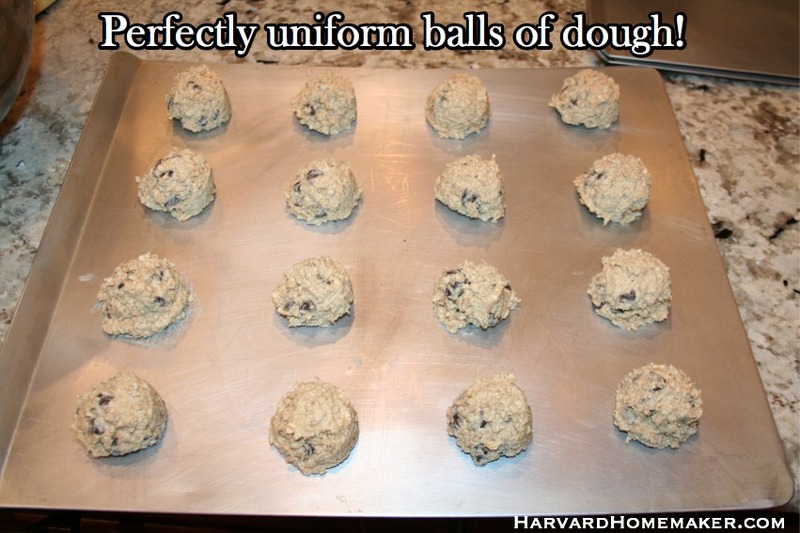 For cookies, this method is especially handy because it also creates uniform balls of dough. You can see the handiwork in action here, thanks to the use of the ice-cream scooper trick. All the cookies are the same size with a nice, round shape. 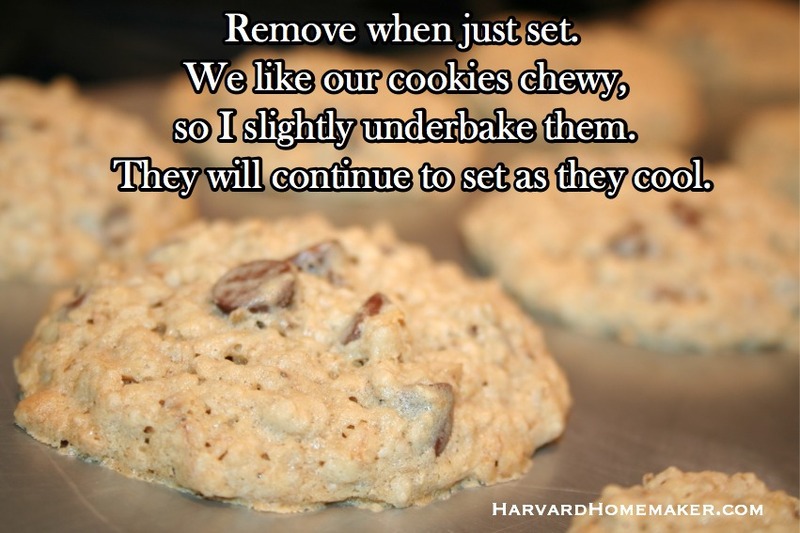 Remove the cookies from the oven when they are just set. We like our cookies to be soft and chewy, so I underbake them just a bit. Because I slightly underbake our cookies, you have to make sure you don’t remove them from the pan too soon or they will fall apart. When they’re mostly cool, use a metal spatula like this (or one that glides easily under the cookies) to keep their shape intact and carefully slide them off the pan one by one. If I use a plastic one that’s flimsy, I’ve found that the cookies don’t always hold their shape. 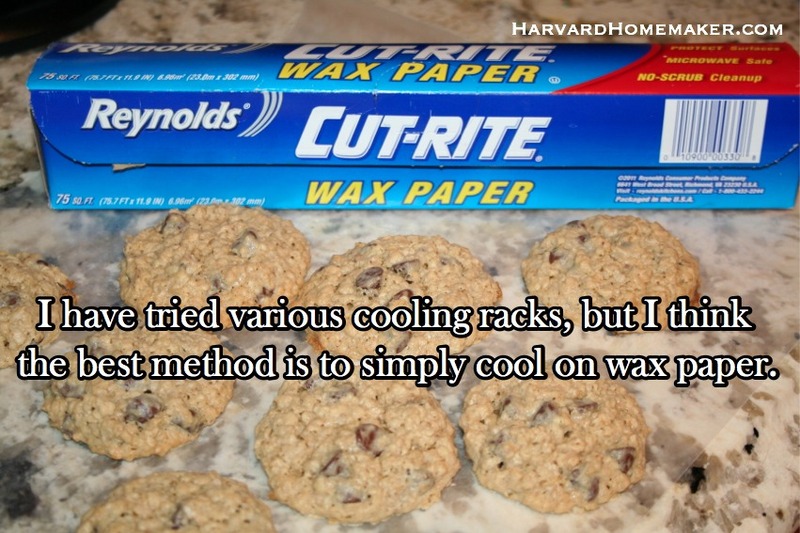 I have tried various types of cooling racks, but I simply like using wax paper spread out on the counter the best. The cookies stay perfectly flat, and they seem to cool just fine this way. Look how good those look! Yum! 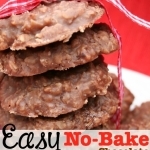 You can also push the dough into a pan and bake like a cookie cake to create bars. There’s something about the oatmeal in these that makes them delicious bars as well! You will have to cook them longer to make bars. I would just keep an eye on them since the cooking time will depend on the size of your pan and how thick/thin you’ve spread the dough. In a large bowl, cream together the butter, Crisco, milk, brown sugar, and sugar until smooth. Beat in eggs one at a time; then stir in the vanilla. 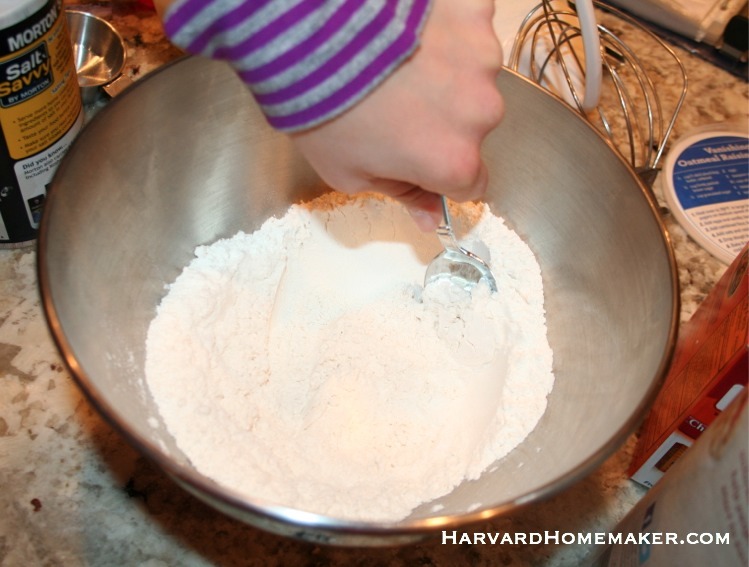 Mix together the flour, baking soda, and salt. 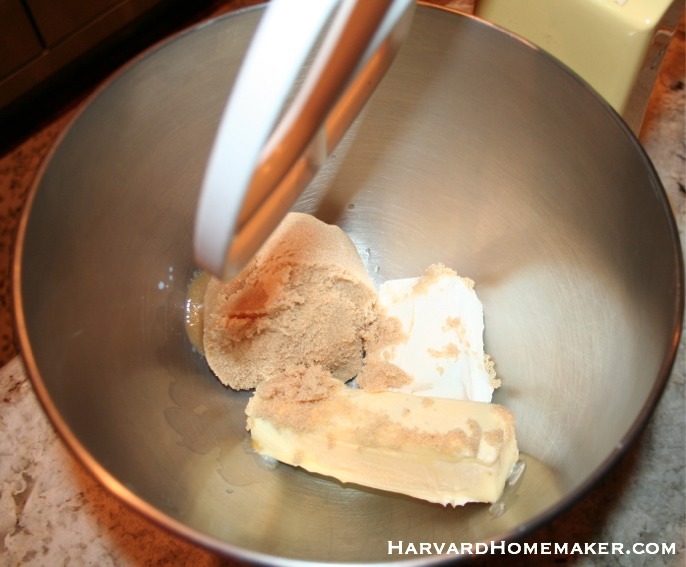 Add these dry ingredients to the creamed mixture and combine until just blended. 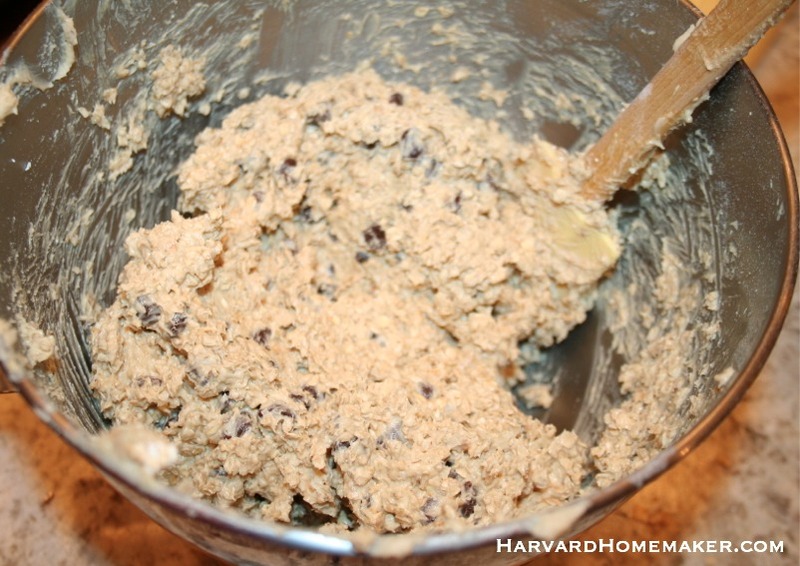 Mix in the oats; then add the chocolate chips. Drop the batter by heaping spoonfuls onto an ungreased baking sheet. Bake for 12-14 minutes or until just set. Allow cookies to cool on the baking sheet before transferring with a thin spatula (that easily slides under the cookies) onto wax paper on your counter. 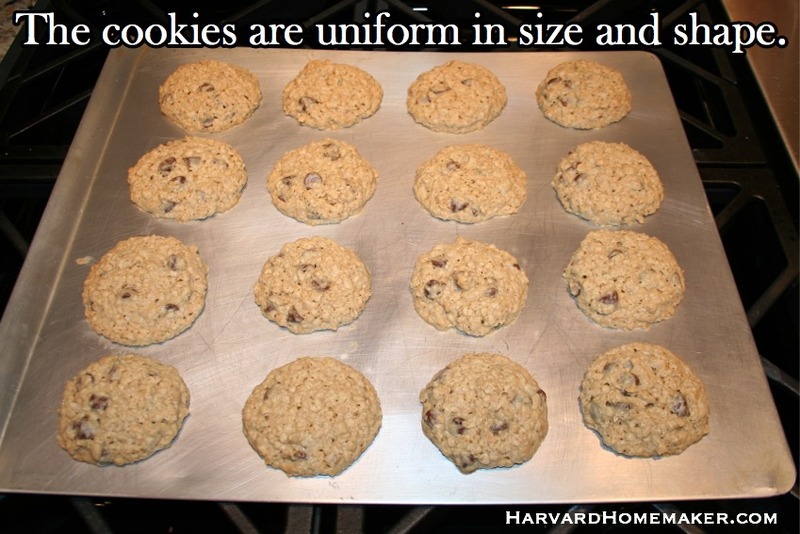 Yield is about 42 cookies, depending on size. Enjoy! You can also freeze these for later. I hope you like them as much as we do! 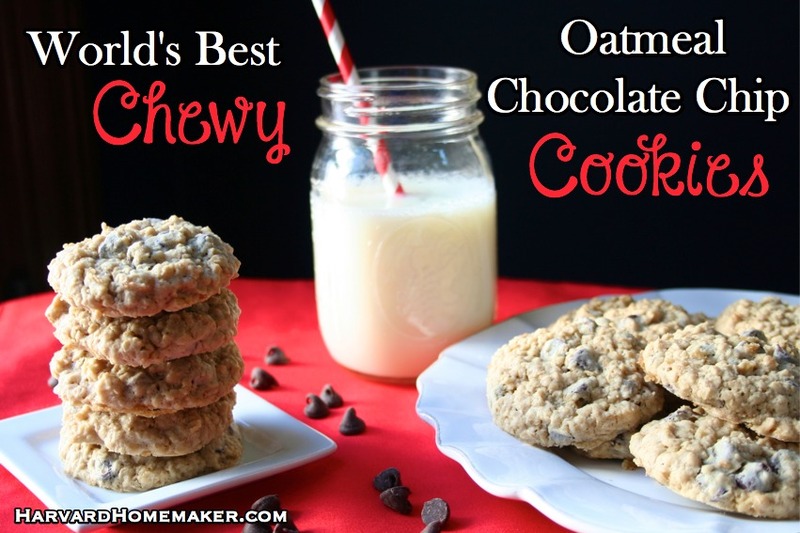 We think these are the best oatmeal chocolate chip cookies on the planet!! If so, please pin the image below to share the idea with your friends – thanks for spreading the word! 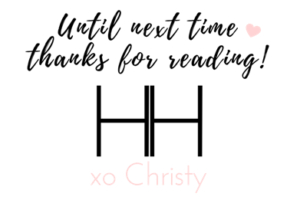 Thank you for all that you do……I love reading your blog! I feel like I’m always on the search for the best cookie! Thanks for sharing! Hi Kari! I hope they live up to the hype!! :) You’ll have to let me know if you try baking them sometime! they came out great! we mixed mini chocolate chips with butterscotch (we were out of regular chocolate chips!) and they are really good. Thanks for the recipe very delicious i just had to add about 1/2cup more flour, already save this recipe. Why Crisco and not just butter? 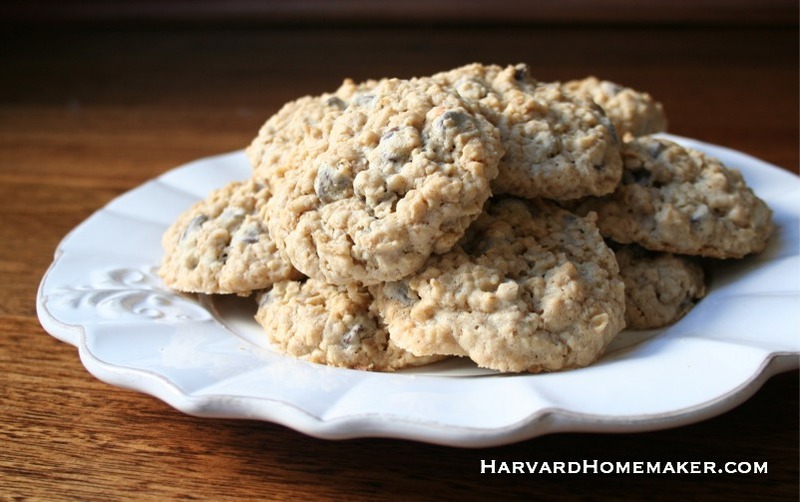 This has become my go-to Oatmeal Chocolate Chip cookie recipe for the kids’ lunches. I double the recipe and add cinnamon (1 tsp) and ginger (1/2 tsp) plus ground flax seeds (1/4 cup) and hemp hearts (approx half cup, in place of oats), just to add some spice and healthy bits. The double batch is great ’cause I can freeze them and easily add to my kids’ lunches without having to constantly make more! Thanks for this great recipe. 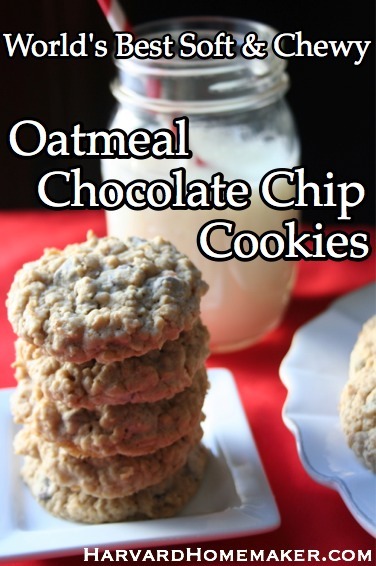 I’m gona make these because Ive been looking for great oatmeal choc chip cookie recipe. I know the addition of Crisco makes the best cookies. Crisco is excellant for baking. 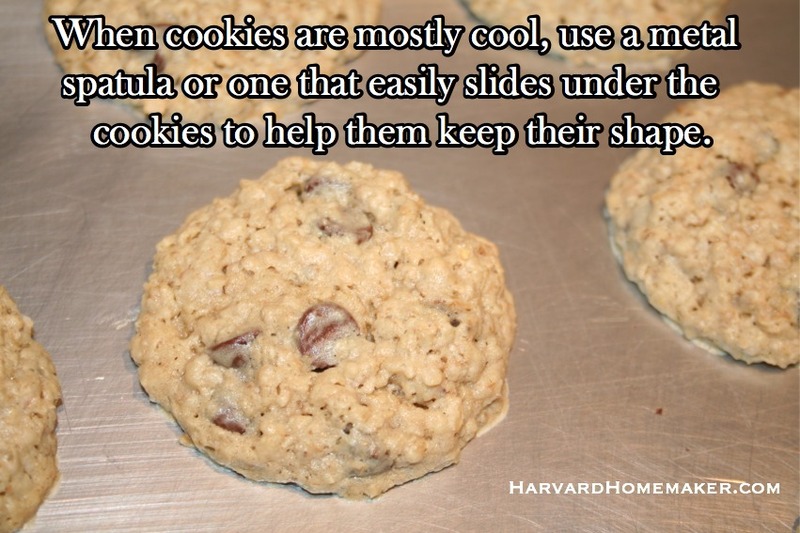 It gives cookies that slight crisp exterior while keeping cookies tender & chewy in the middle. I will keep the dough chilled in between baking times because this intensifies the cookies flavor & prevents excessive spreading. Thanks for your recipe! Yumm! Yes, these are truly amazing as compared with all the similar recipes out there. I actually can’t stand it when people comment about how much they tweaked a recipe before even making it accordingly at least once. However, these are my excuses: a) I was in a rush to make some sweets for an afternoon fundraiser; b) I had already set the oven temp to 350*; c) I had no vanilla (ran out!) and improvised with two dashes of maple syrup and an eighth of a teaspoon of almond extract and one of rum extract; d) My Crisco was down to maybe three tablespoons but the dough looked fine so I left it at that. So, with that being admitted, my cookies came out looking just like those in your picture and the taste was so richly satisfying. Just amazing. Will be pinning this and making again soon per your directions. (With the oven at three fifty I only baked them for eight to ten minutes depending on what cookie sheet I was using.) Already thinking about adding this one to the Christmas cookie tray! I added dried cranberries and they were a homerun hit at my house with the teens who are usually picky and dont care for oatmeal in anything. The best texture and tastey recipe so far according to the Burnside family poll. Thanks for sharing cookies! can you use old fashioned oats? Honestly, I’m not sure! My guess is yes?? Please let me know how it goes if you try it! My family and I love this recipe so much! I swap the crisco with unrefined coconut oil and the milk with almond milk. I’ll also sometimes put a little bit of shredded coconut in as well. But, then, I LOVE the combination of chocolate and coconut! Lol. Thank you for the great recipe! Great tips, thanks! I may have to try these variations myself! Take care! Hi, if I prepare this in advance and then freeze the dough, how many hours to thaw the dough before i scoop and bake? Hi there! I’m not sure since I never seem to be organized enough to make dough in advance! 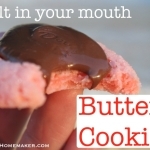 :) I would think it would thaw fairly quickly so you could scoop and bake – maybe 2-3 hours? Does anyone reading this have any advice who regularly does this? Thanks!